A deeper model than most, at four feet deep, our Cheyenne gives you more birds and the birds more space to play. Plexiglas windows allow for excellent viewing and easy cleaning! At the thickness we use, it will pop out of frame if hit so it won’t shatter causing injury. Think of wide open spaces filled with the color, sound and movement of birds. 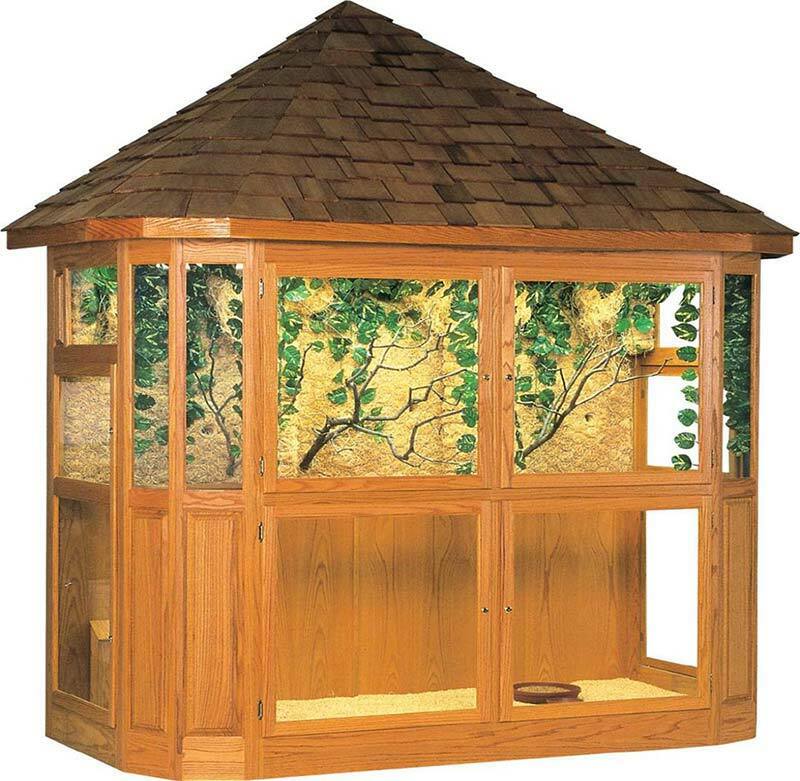 More depth, the dramatic pitched roof and beveled corners team up to provide extraordinary viewing for your bird lovers. Also available without a roof.